Then you make it to victory in market. You&rsquo;ll be provided what you need ,with our attention. * Long Warranty Time and Permanent Technical Support. Low peripheral speed and high efficiency. Drive shaft capable of accepting radial loading. Low noise level. I will give you our best price and high quality product . Product Pictures Packaging & Shipping Company: Guangzhou Sanse construction machinery equipment co. Positive feedback response; &diams; Establish inquiry library for you, we are your professional sourcing consultant. 3. High precision testing facilities and experienced inspectors. Bring the best products and service to customers and establish close business relation to benefit them mutually in the long term. each one product, H & E must pass strict inspection by our QC and engineer. We are the company which is the joint of trade and industry. 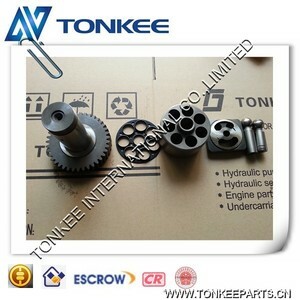 We can provide you genuine parts, replacement parts and high copy parts. Other ways can also be received after we both sides discussion and agreement. 2. Goods will be delivered on time. 3. Goods can arrive at the destination safely. 4.derivery time:within 30 days after the payment. Shanghai Yicheng Commercial And Trading Co., Ltd.
Other Industry Contruction Industry, Plastic Industry, Textile Industry, Coal Floatation Agent etc. Problems confrimation: Slight problem: Please send the proof to our After-Sales Department, we will reply within two days. is a comprehensive and professional manufacturer, being integrating in designing, developing, manufacturing. , At the same time, we supply import and export service for domestic & abroad customers. 2. Pump noise is too large9 Replace the oil at the working temperature or start the heating tank before starting. Reduce the resistance of the intake passage and increase the oil level. 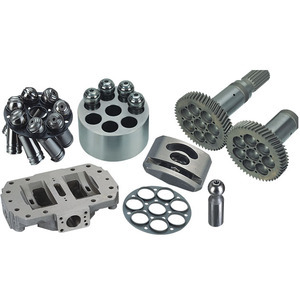 Alibaba.com offers 1,807 uchida hydraulic pump products. About 45% of these are pumps, 34% are construction machinery parts, and 16% are hydraulic parts. A wide variety of uchida hydraulic pump options are available to you, such as piston pump, gear pump, and multistage pump. You can also choose from hydraulic, electric, and pneumatic. As well as from high pressure, low pressure. 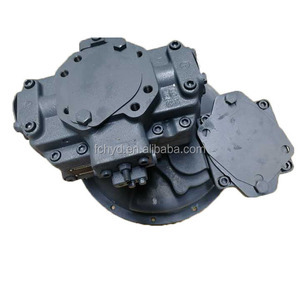 And whether uchida hydraulic pump is oil, air pump, or water. There are 1,802 uchida hydraulic pump suppliers, mainly located in Asia. The top supplying countries are China (Mainland), Indonesia, and Taiwan, which supply 98%, 1%, and 1% of uchida hydraulic pump respectively. Uchida hydraulic pump products are most popular in North America, South America, and Southeast Asia. You can ensure product safety by selecting from certified suppliers, including 310 with ISO9001, 189 with Other, and 8 with ISO14001 certification.